Well this is gonna be rather packed post :) I am glad I am now in tapering mode before the Prague Marathon on May 11 as I don't know how I could manage everything with the high mileage :) It started back in Prague with pretty serious breakthrough with my mental coach. There were tears involved, but I think it is all part of very important process! I will definitely get back to this in another separate post. This weekend was ladies wellness / power yoga weekend with the great personal trainer Petra Polanská at Spa Hotel Felicitas. Really beautiful hotel with very very nice facilities! We arrived too late for Friday evening yoga session, but went running instead. 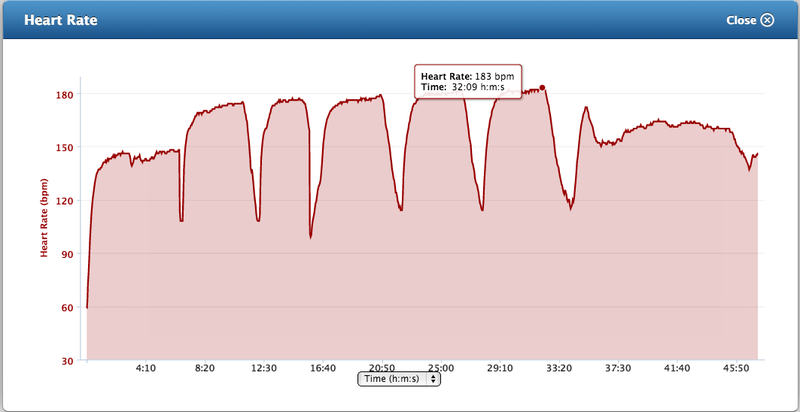 I had 7 x 1 km intervals planned out, only managed to do 5 of them, I was too maxed out after the whole week. Finished strong with the fifth, but couldn't get my legs moving for the 6th and 7th. 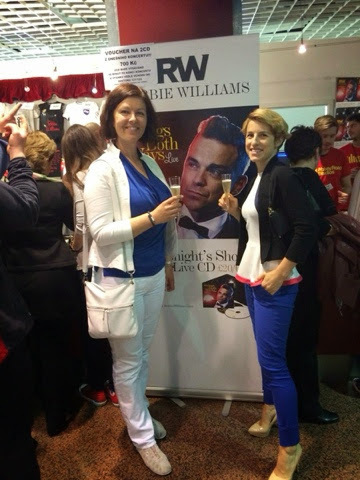 4:45 pm 2nd yoga session of the day, quick shower and we were off to Prague to see Robbie Williams LIVE!!! Wow, like beyond excited. Fortunately we got there fast enough to be able to eat nice sushi & sashimi as we were starving. The concert was beyond AMAZING! That teenage egoist still might be quite self confident, but he seems to be growing in an adult man actually! Talking about his daughter and wife was really touching. And the show he did put up? He really takes his job "to entertain his fans and audience" seriously. WELL DONE Robbie! Angels ... goosebumps everywhere! Standing ovations! We came back at midnight, so no morning swimming on Sunday and we were very excited that the final yoga session (3rd for me and my friend Katka) was more stretch and relax and little less power. Enjoyed little longer by relaxing in sauna and off we were to Prague. Some more afternoon napping / relaxing and a nice easy longish run meet up with Jakub. 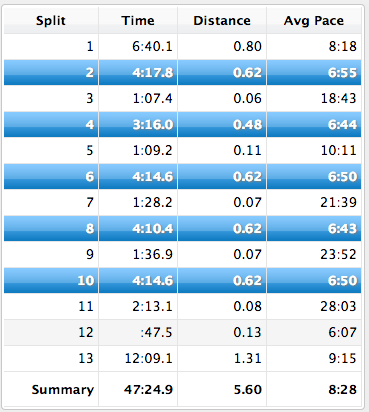 We ran and chatted at an easy pace of 8:35 min/mile average (cca 5:22 min/km). Felt great. Thank you for the company! And last but not least, we have here the Royal Bay GIVEAWAY winner! 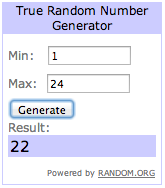 I used Random.org to choose random number from the 24 valid comments - and the winner is number 22, which happens to be MD_jogger - please email me at barborkas(at)me.com ! It is great he won, because he actually chose pink compression socks that he will give to his friend who will run her first marathon in Košice this year!!! What a great attitude! Good night everybody! Tell me what were your races, long runs, adventures of this weekend?!? Thank you Barborka a lot! Wish U all the best!